Nirvana created Supreme CBD Durban by crossing their CBD-rich Supreme with the South African beauty Durban Poison. Growers need to expect heavy stretching, and plants that will add 2/3 of their heights in the flowering period. It will take 60-70 days of flowering until full maturity is reached, and yields of up to 350-450g/m² can be realized. THC and CBD levels are both at 8%. Nirvana’s breeders set themselves the goal to create a sativa-dominant medical strain that can possibly be used to treat medical conditions like chronic pain, muscle spasms, and epilepsy, along with anxiety and stress disorders. 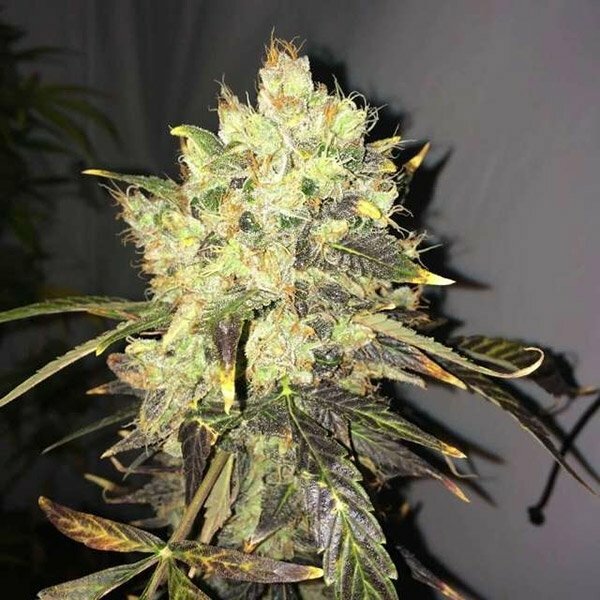 They felt that an inbred line of Durban Poison was the right strain to be crossed with their successfully developed CBD-rich strain “The Supreme”. Durban Poison is known to be a pure and potent Sativa from the South African port city Durban. Growers who choose to cultivate Supreme CBD Durban need to plan ahead, and be aware of the fact that these plants add 2/3 of their final height during the flowering period. There are two basic options to help get their heights under control; either significantly reducing the vegetation period or growing this strain in a ScrOG. Both ways work excellent, and growers can await harvests of up to 350-450g/m² after a flowering period of 60-70 days. The genetic makeup consists of 70% Sativa genetics. Supreme CBD Durban creates a comfortable body stone and features a THC:CBD ratio of 1:1. The THC levels are tested at 8%, giving this strain a rather mild character. CBD levels can be considered very high, with 8%. One may notice the pain reducing effect, without the incredibly soaring Sativa high Durban Poison is known for. Besides the relaxing effect of Supreme CBD Durban, smokers will still feel slightly energizing and "uplifted", combating psychological issues like anxiety or depression. Flavours are predominantly sweet. Nirvana did a great job on Supreme CBD Durban. Growers, smokers and patients who prefer sativa-dominant strains won’t be disappointed by this medical variety. It’s the CBD-enriched version of one of the most successful Sativa’s ever existed, yet won’t be overwhelmingly strong. It’s the ideal strain to stay medicated throughout the entire day, and still be ahead of things.